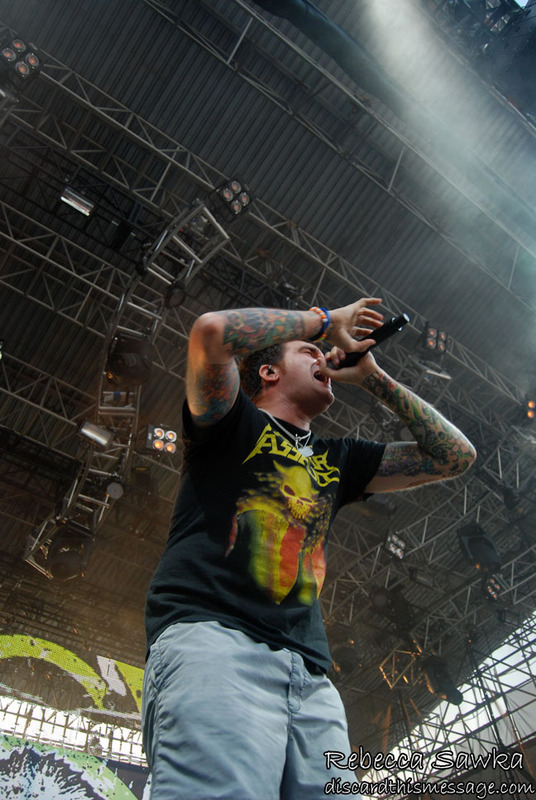 The Honda Civic Tour arrived in Philadelphia on a hot August afternoon at Penn’s Landing Festival Pier, a considerably smaller venue than the arenas that made up most of the tour. One of the few dates with standing room — and perhaps the only date to be exclusively general admission — the night offered Paramore and their supporting acts a chance to be the very best show on the entire tour. Following a performance by opening act Kadawatha, New Found Glory started at 7:15 with “Truck Stop Blues” from their latest album, Not Without a Fight. “All Downhill From Here” followed, and a large portion of the crowd responded to the band’s most well-known song. Still, cuts from quintet’s most popular album — 2002’s Sticks and Stones — were the most exciting, and vocalist Jordan Pundik embraced the energy emitting from longtime fans that pushed their way to the front of an otherwise motionless crowd. For “Don’t Let Her Pull You Down”, the Florida quintet taught the audience the song’s namesake chorus using enormous, vibrant signs painted “DON’T”, “LET”, and “HER” (when flipped, the posterboard revealed “BUY OUR SHIRT”). “Hit or Miss” sounded great, and the band’s final cut, “My Friends Over You”, was equally impressive. Veterans of touring, and certainly familiar with larger venues, New Found Glory was sonically sound and exciting to watch during their ten-song setlist. The band pulled no punches, even using their guitar tech to play the keyboard parts live when necessary. 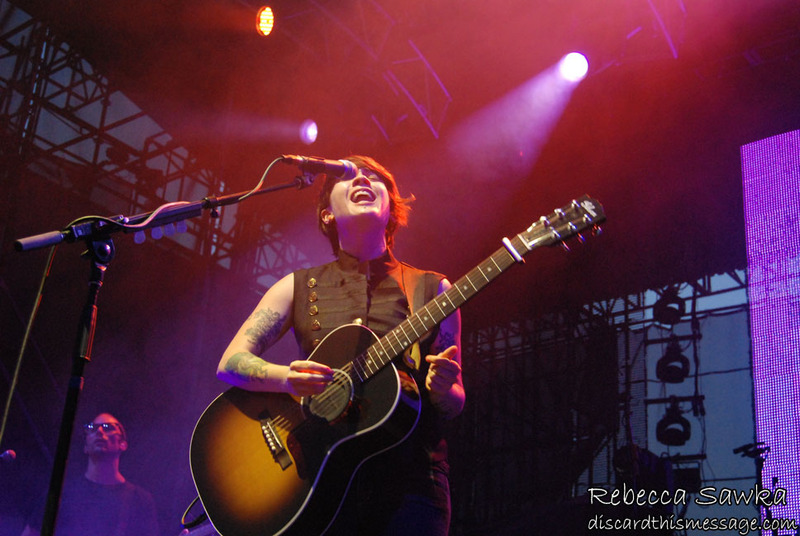 Tegan and Sara Quin, identical twins from Canada, provided direct-support. Slower and more subtle than New Found Glory before them, the evening certainly shifted gears during the twins’ set. Supported by a backing band, the duo surprisingly constructed half of their setlist from 2004’s So Jealous, strange because the band has released two much more popular albums since. 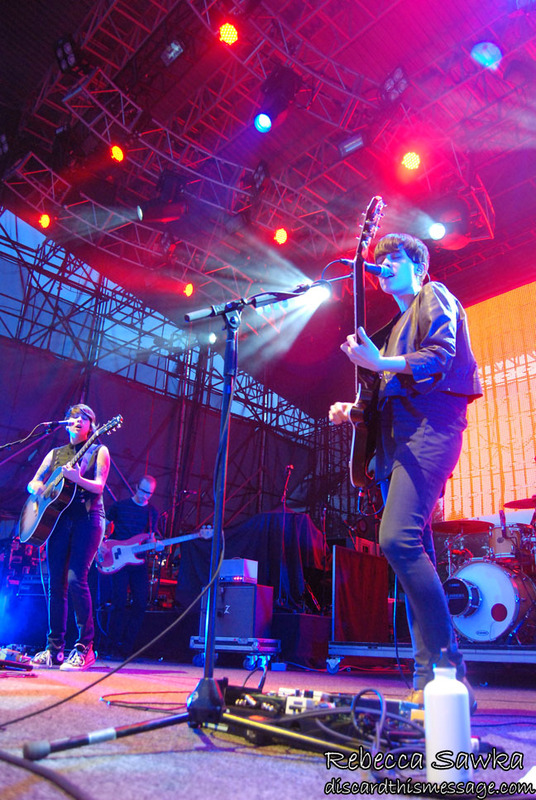 Tegan and Sara undoubtedly drew a number of fans who appreciated the older cuts, though, even if it meant most of the set going over the heads of the Paramore-ready crowd familiar with just their newer, more mainstream material. Despite playing together for more than ten years, Tegan and Sara still sound rough around the edges. The band’s newest material relies heavily on air-tight production — consequently hitting harder in the studio — and the act’s constant pleas to the crowd to “calm down” because it was “too hot” were a bit off-putting when the crowd was barely moving at all. The penultimate “Northshore” featured the song’s various “don’t [verb]” lyrics on a giant screen behind the band while the twins traded fast-paced lyrics like “don’t bend, don’t bleed, don’t beg, don’t scream, don’t whine, don’t fight, don’t tell me”. 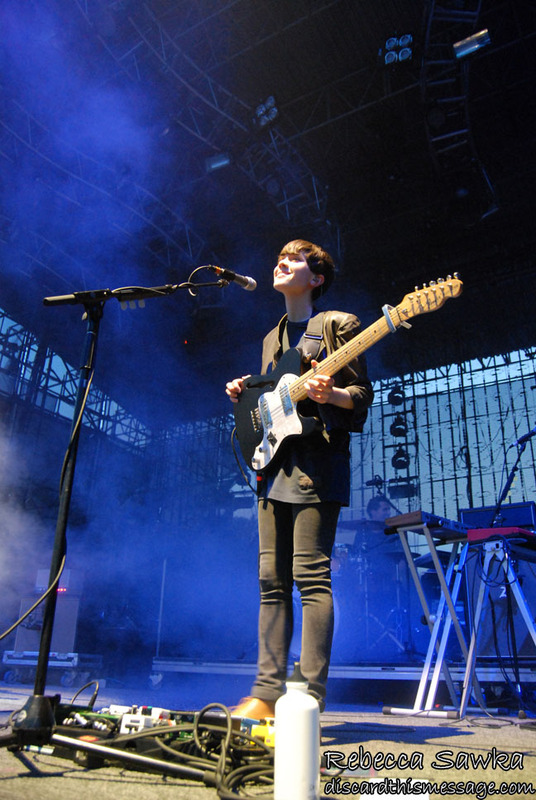 Just hours before Tegan and Sara performed, a United States district court judge overturned California’s Proposition 8 — a ban on homosexual marriage. In celebration of the ruling that apparently touches a personal chord with the sisters, the duo performed “Underwater” from their 2002 full-length, If It Was You, to close their set. Tegan and Sara were enjoyable, but nothing remarkable; to truly enjoy the act’s quirky indie-pop, their studio albums are a much better choice. 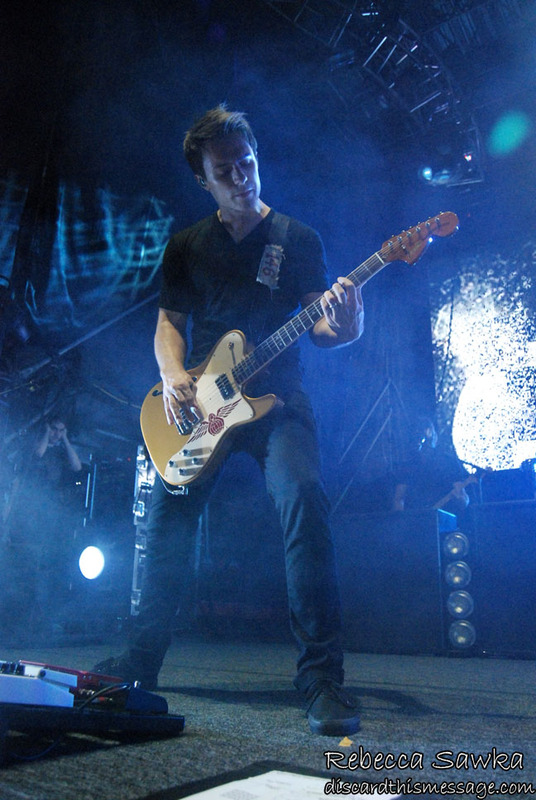 Complementing an already solid lineup, Paramore added a third guitarist, Johnathan Howard, to the tour. The band rarely needs a third guitar, but songs like “Emergency” sounded somewhat beefed up by the addition. Also beefing up their live show were fun videos of the band played in the background during parts of the set, showing brief scenes like the band skateboarding through town or hanging around the house. Make no mistake, however, Paramore’s live show starts and ends with the band’s songs and not gimmicky videos. “Decode” drew a deafening roar from the crowd — likely due to its use in Twilight — but the song is one of the band’s weaker cuts and indeed the only nick in an otherwise flawless set. Midway through the evening, Paramore’s setlist took an interesting turn with Williams singing a cover of Loretta Lynn’s “You Ain’t Woman Enough”, backed only by lead guitarist (and ex-boyfriend) Josh Farro on acoustic guitar. The brief tune found the two alone on the corner of the stage while the rest of the stage was being rebuilt to resemble a living room, complete with lamps and furniture. The band joined together on couches in the middle of stage to perform mellow, acoustic-based takes of “When it Rains”, “Where the Lines Overlap”, and “Misguided Ghosts”. The change of pace added a welcomed dynamic to Paramore’s otherwise fairly straight-forward arena-rock-ready set. 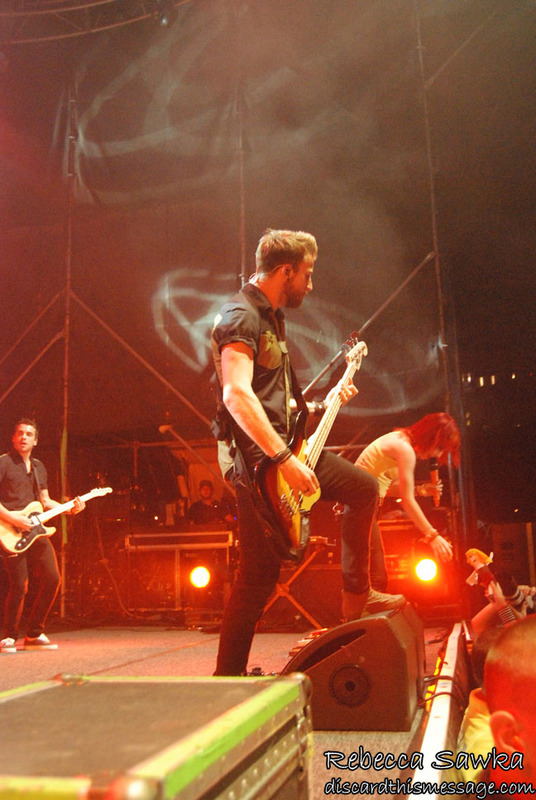 “Let the Flames Begin” returned the band to their electric roots; the band extended the song with a special live-only bridge that has been a part of Paramore’s set for some time. 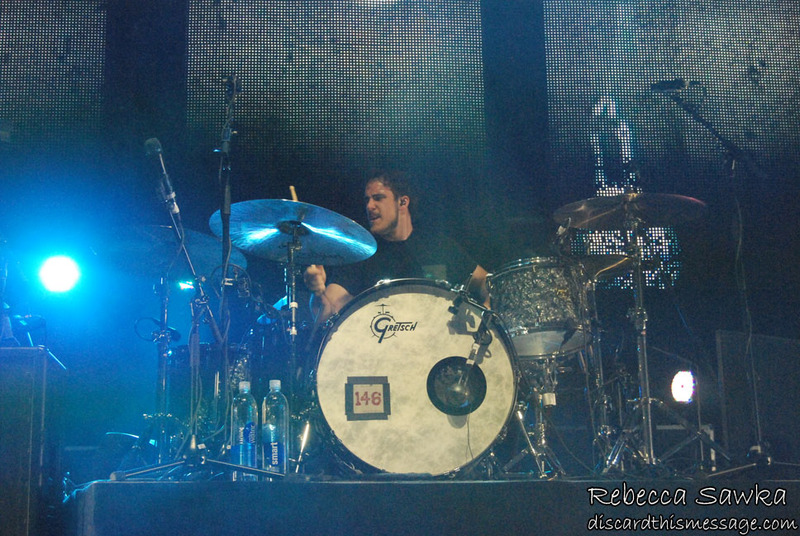 The band returned to their 2005 debut with “Pressure”, with Williams introducing the rest of the band during the song’s drawn-out instrumental breaks. 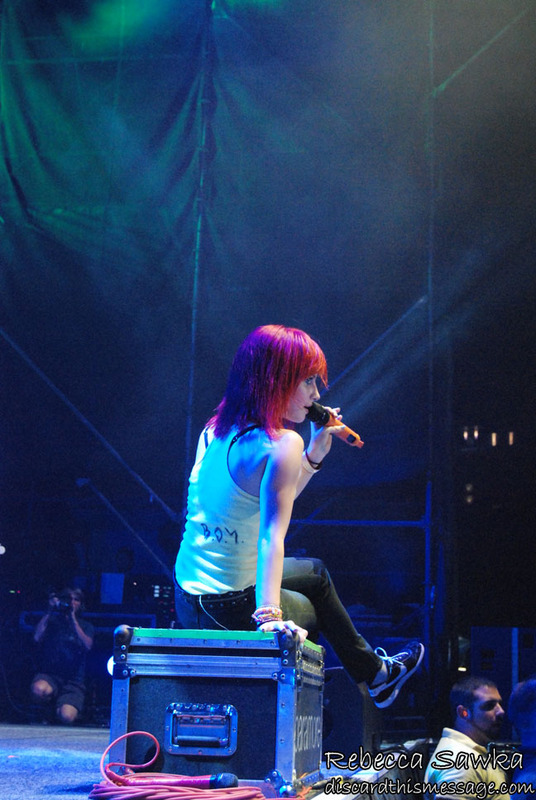 “The Only Exception” appeared to conclude evening, but Paramore returned moments later around 11PM with their breakout single “Misery Business”. It’s unclear why the band inexplicably removed “Brick By Boring Brick” from their encore — the song has been a part of the Honda Civic Tour all summer until Philadelphia — but even with that unfortunate omission Paramore still performed one of the best shows of the summer. Drawing from three excellent albums, the band crafts an exciting setlist that touches on a variety of styles within the punk-pop and pop-rock spectrum. Williams is a fantastic frontwoman anchored by rock-solid musicians, and the band’s live performances are undeniable evidence that the five-piece is more than studio magic. Photographs credit to the excellent Becca Sawka. 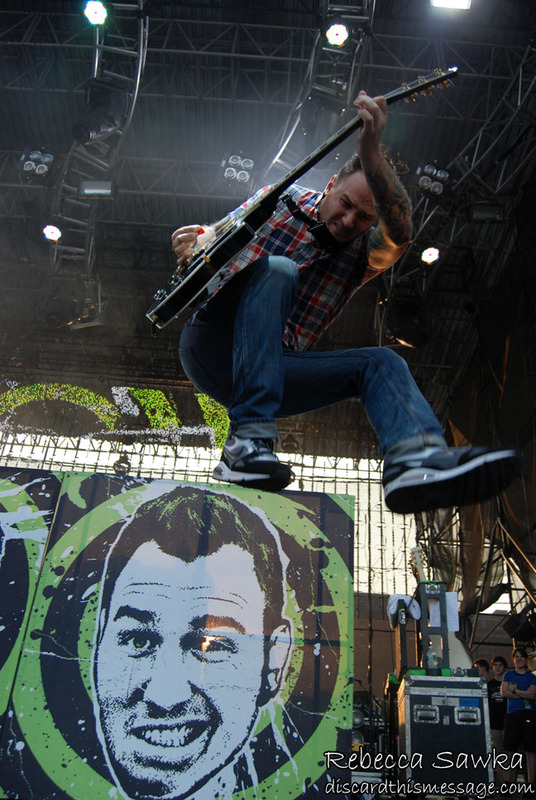 You are currently browsing the archives for the New Found Glory category.